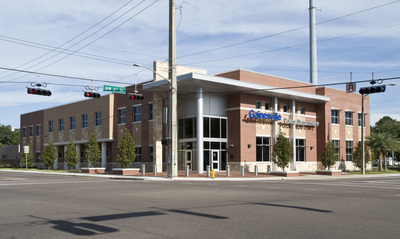 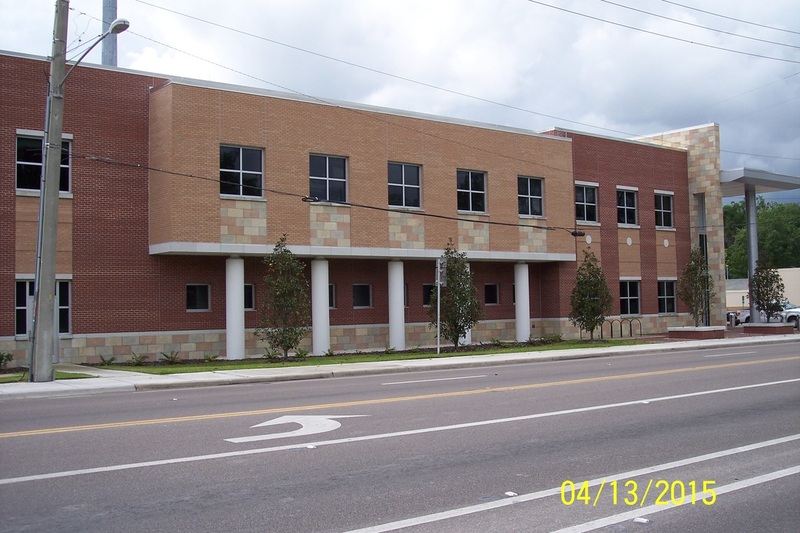 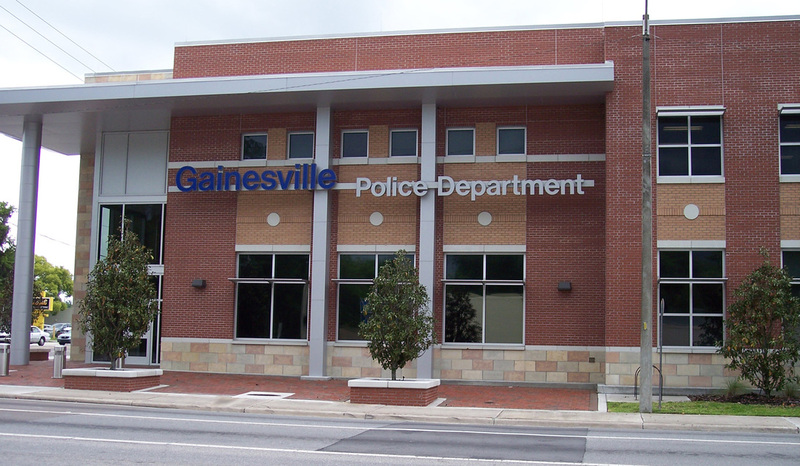 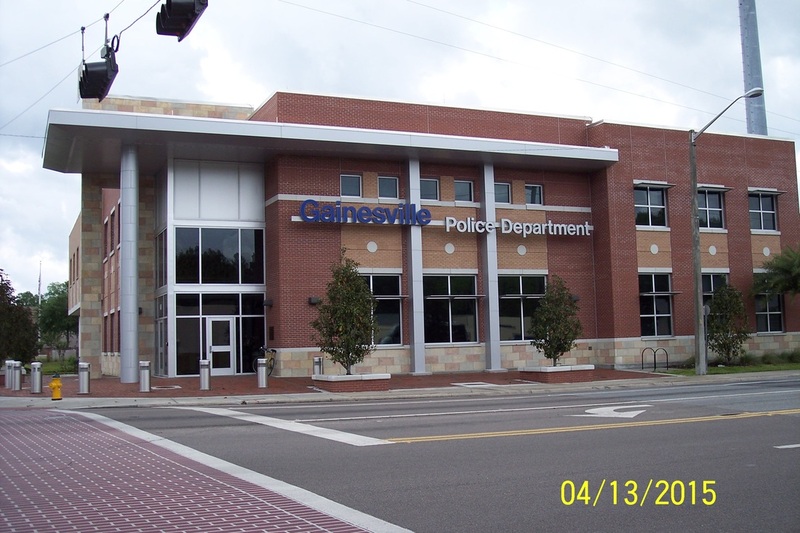 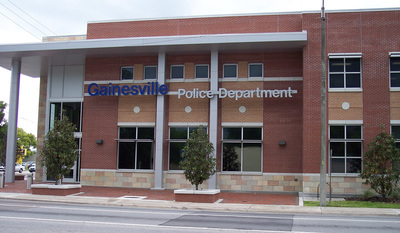 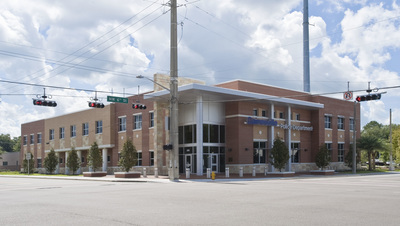 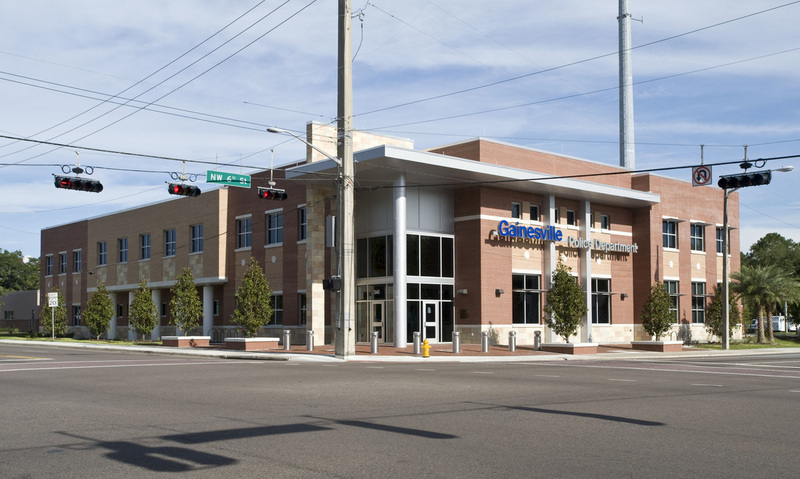 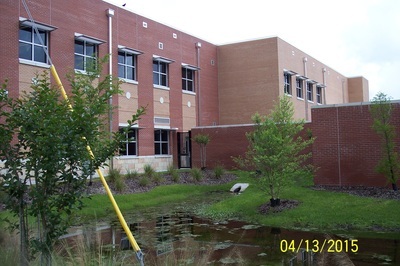 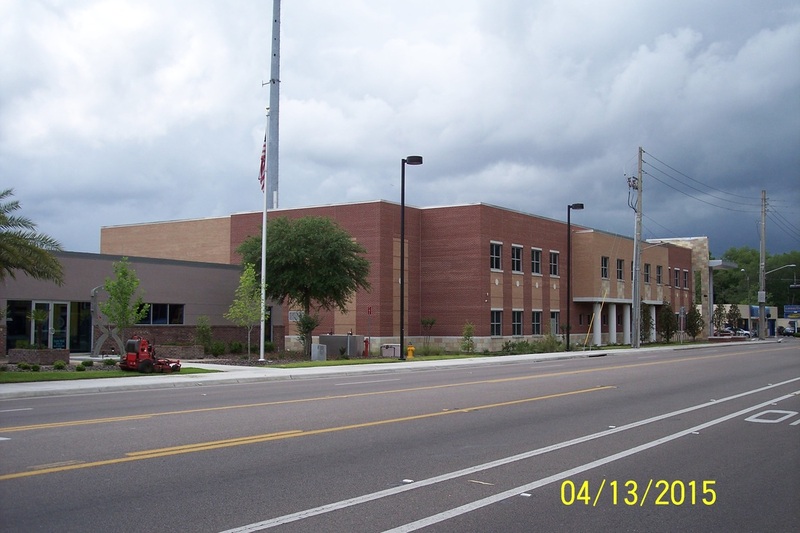 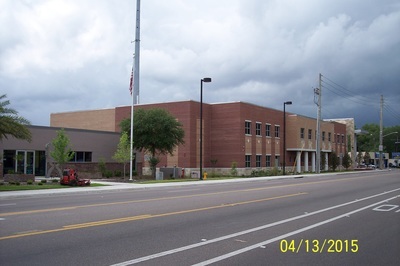 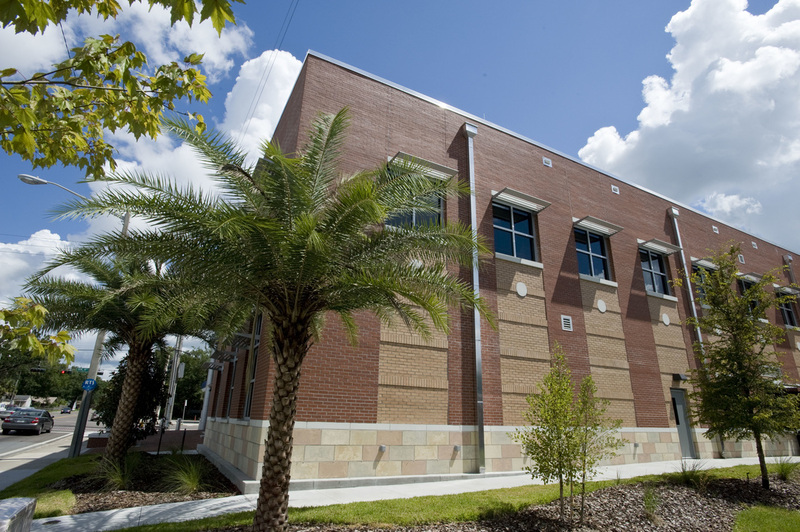 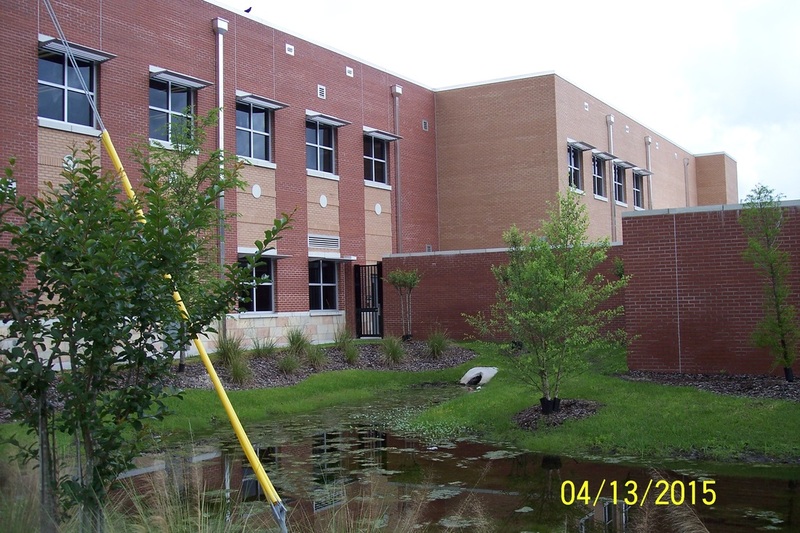 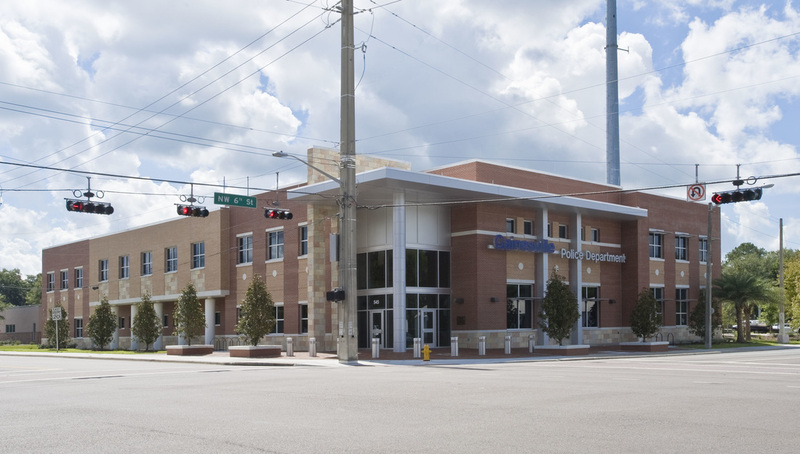 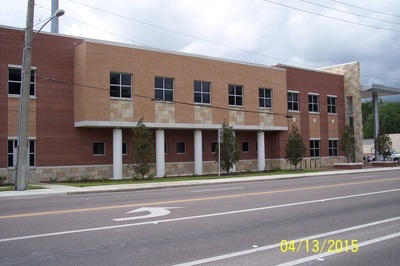 The new $11.6 million Gainesville Police Administration and Physical Training Facility was designed by Harvard Jolly Architects and built by the Gilbane Building Company in the same footprint as the previous Police Department that had become toxic and was demolished. The interior features a Hall of Heroes of fallen officers, which is open to the public just off the front lobby. 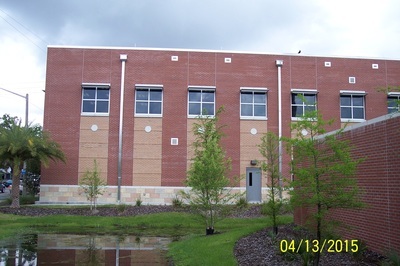 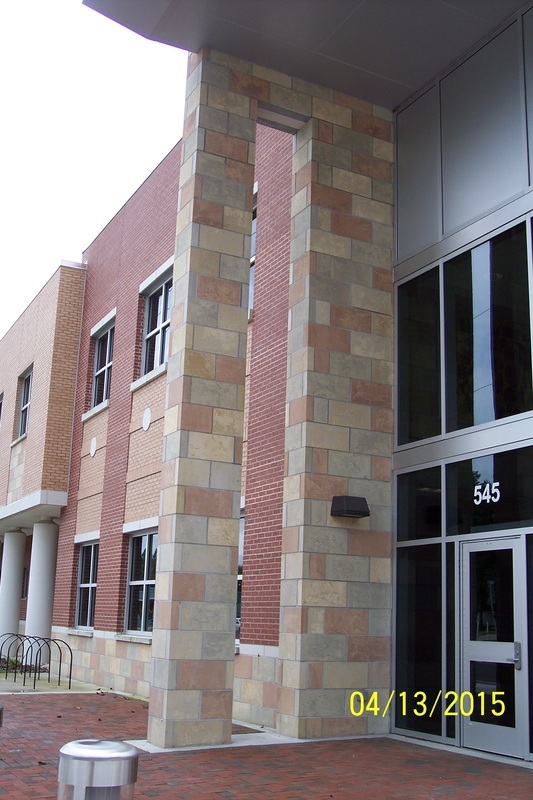 The two story building utilized reinforced concrete masonry with two inch insulation and brick veneer as the exterior wall system. 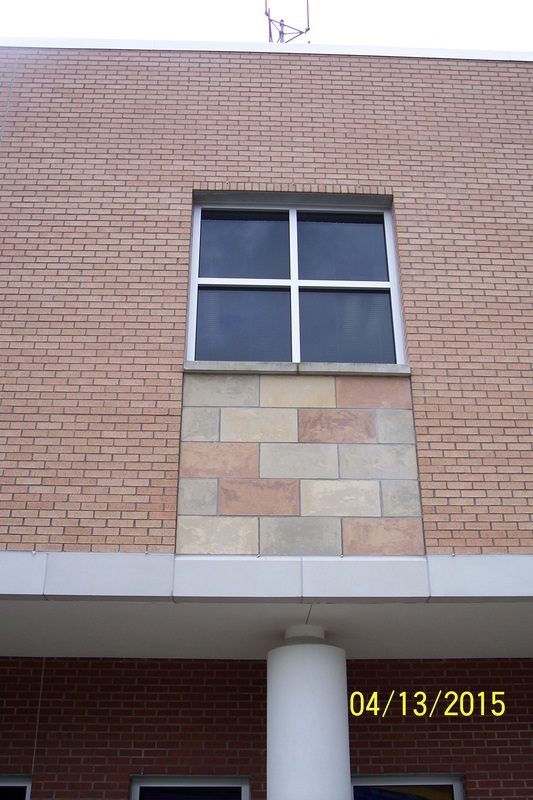 The veneer was a combination of two different brick, Hanson Medium Palomino and Hanson Red Wire Cut, and Renaissance Arriscraft with a cast stone trim. 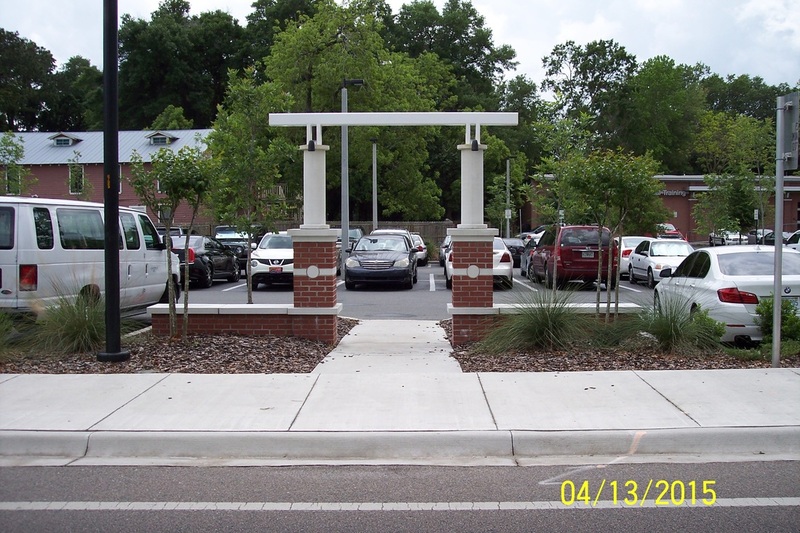 The overriding issue on this project was the very tight site conditions caused by active existing streets on the north and west elevations. 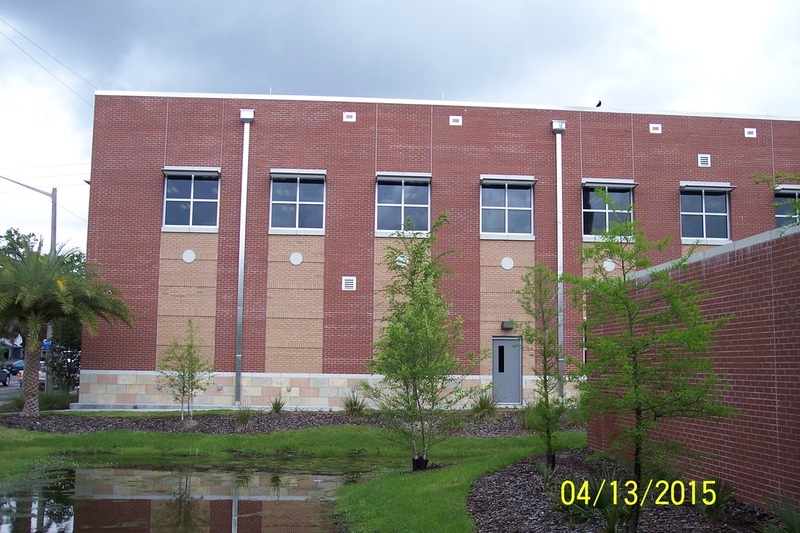 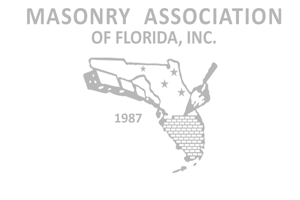 Suppliers for this project included: Cemex (CMU and cell fill @ 30,000ea); Oldcastle/Harwood Brick (125,500 ea Brick Type) and Arriscraft (3,583 sf); Vulcan Materials, now Argos, (Masonry Cement); Southern Castings of Valdosta, Ga for the cast stone trim; and HD Supply/Whitecap for the masonry accessories.